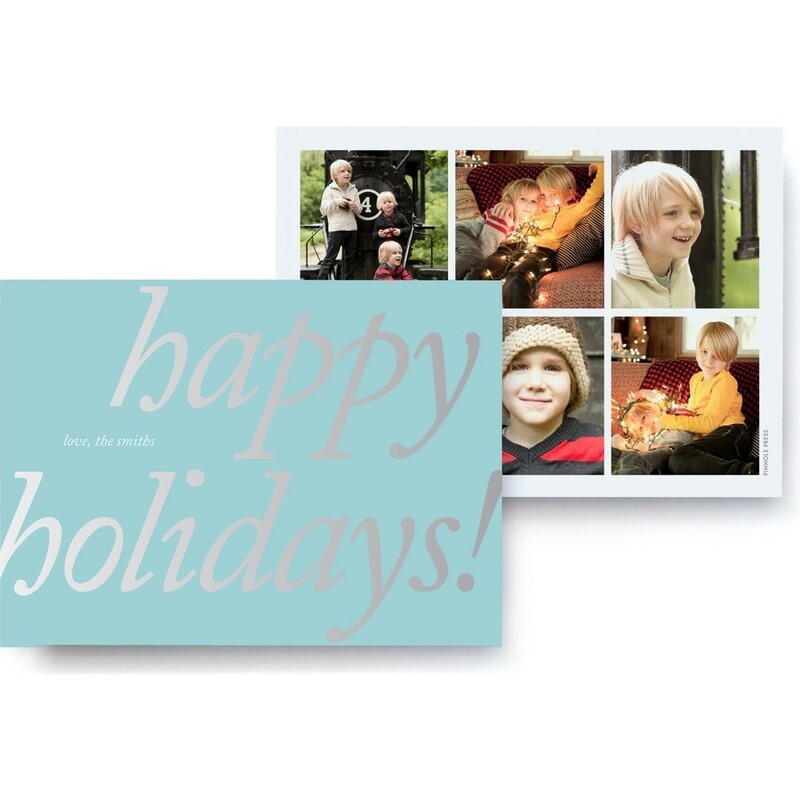 Wish loved ones a happy holiday with this photo card. Feature the whole family, or make a collage of picture-perfect moments from the year. Displays 6 photos.